This all-natural crib mattress topper is an excellent addition to any eco-friendly nursery. The wool in this product is sourced in the Pacific Northwest of the United States from farmers who participate in the Sustainable Wool Program, producing high quality ultra clean wool from sheep flocks that are managed in a humane ethical way and in a chemical-free thoughtful environment. 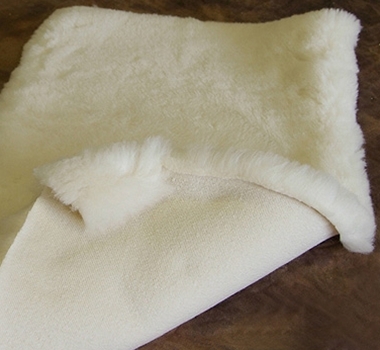 The wool is woven into a sturdy, certified organic cotton backing in a natural ivory color. This topper is 1.5" thick and measures approx. Intended for use in a crib. Cradle or bassinet toppers available separately.